We bought a Paris breakfast at the corner boulangerie — pain aux rasins and croissants au beurre. 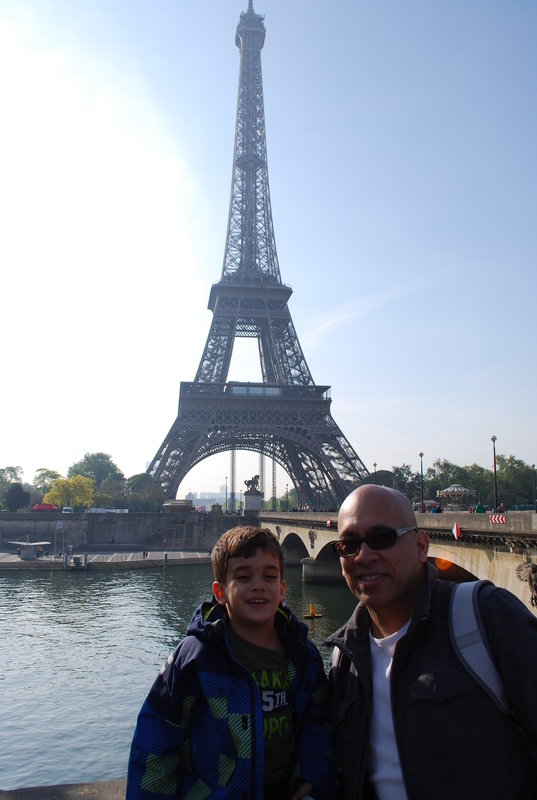 Then we boarded the metro near our apartment. I had forgotten how it feels to commute in a large city, with bus and subway rides lasting for at least a half hour. It wouldn’t have been a problem for Joe and me, but these long rides were very difficult for my kids to endure. 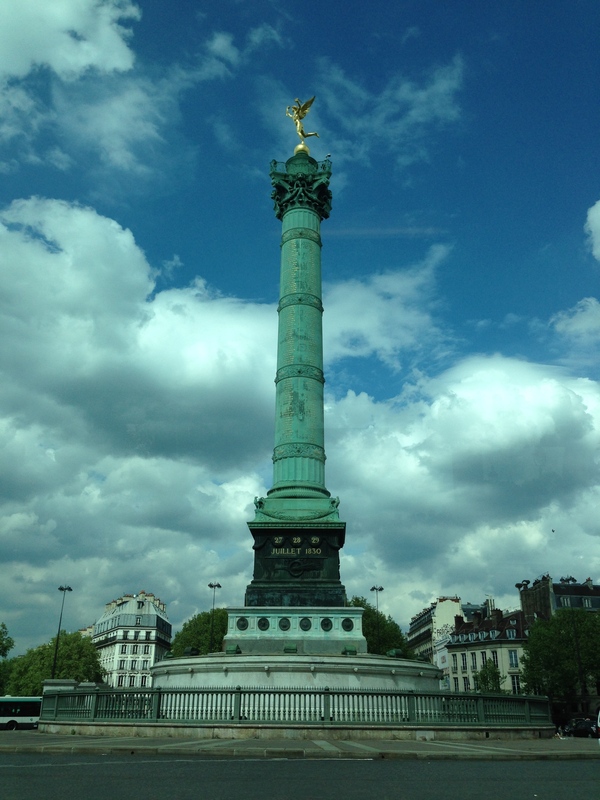 When you exit from the Trocadero metro station, you are treated to this splendid sight. 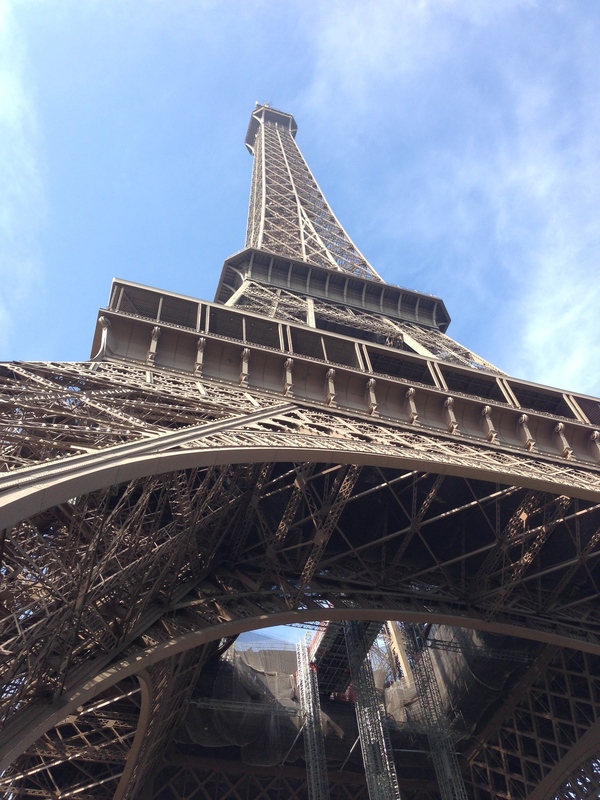 Sam and Lucy both recognized the Eiffel Tower from an app they’ve been playing which teaches about Paris, although Lucy pronounces it “Pookal Tower”. 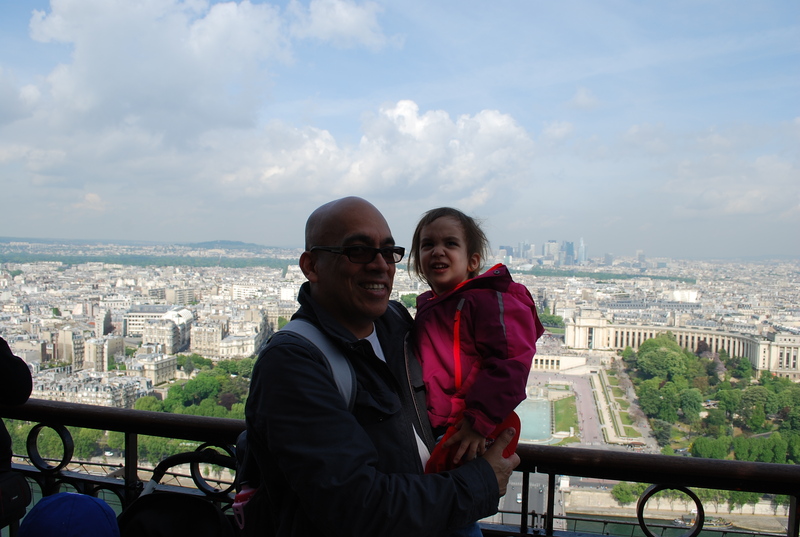 From there, it’s an nice downhill walk through the Palais de Chaillot and a bridge across the Seine to the base of the tower. The hardest part was figuring out which line we should queue in. Even though we arrived just before opening, the lines of tourists snaked in spirals underneath the tower without any recognizable order or system. It took us about an hour of waiting in line before we made it inside and took the elevator to the 2nd floor. Pretty great views from up there! After we descended back to the ground, it was lunchtime. 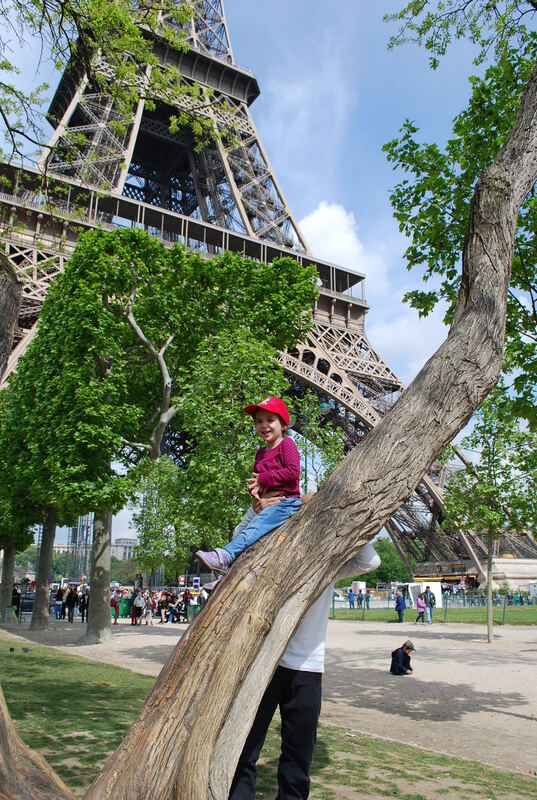 We bought some baguette sandwiches and frites and had a picnic on the Champ de Mars park beneath the Eiffel Tower. 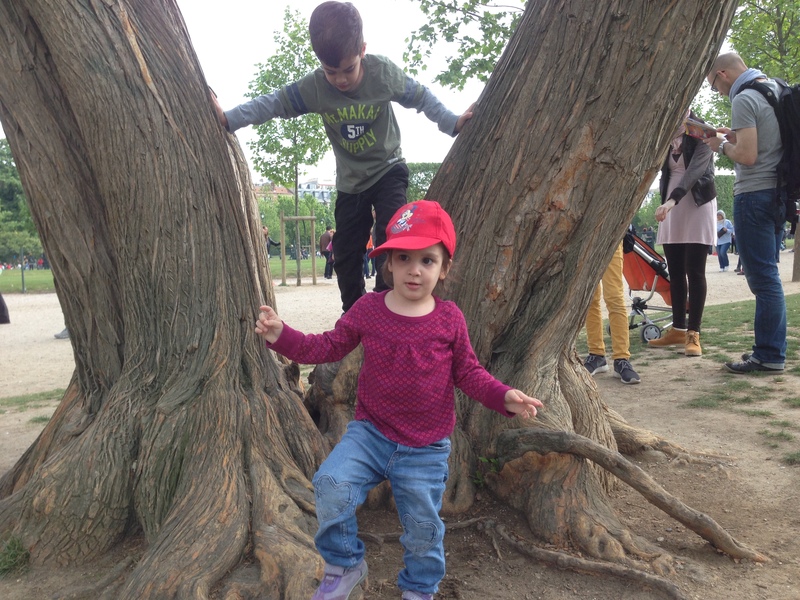 The kids loved climbing the old trees and we enjoyed some great people-watching while we ate. 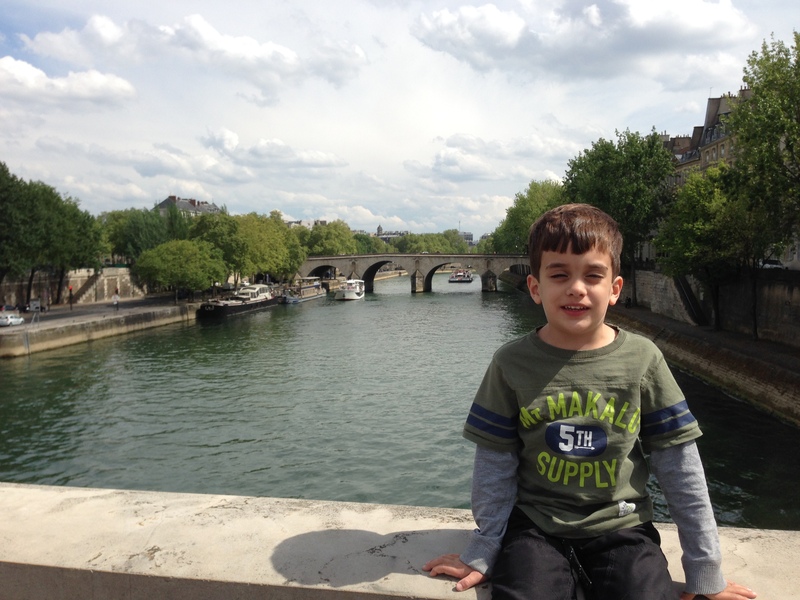 We walked to the south end of the park and caught a city bus to take us to the Île de la Cité. 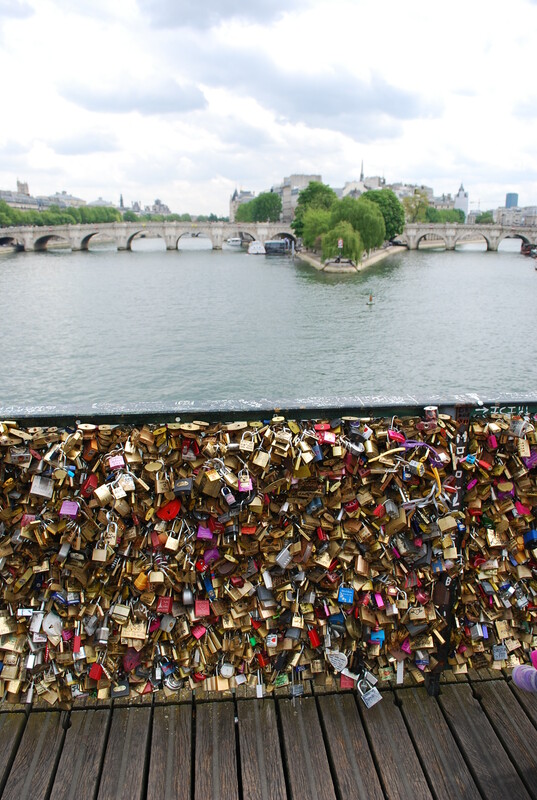 I researched in advance and picked a bus that would let us off at the Right Bank of the Pont des Arts bridge, so we could add a “love lock” to the railing. 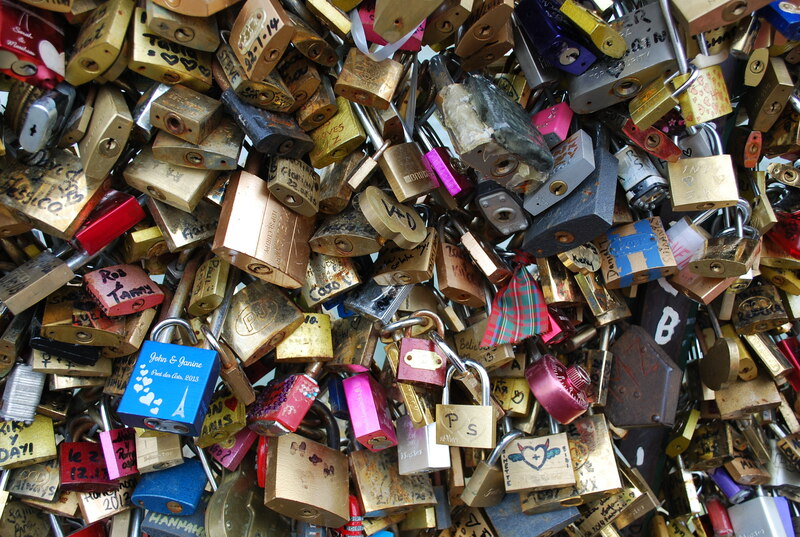 Can you spot our lock? It’s in there! Unfortunately, we had a mini disaster. Sam had a lock in his hand that he’d drawn pictures on in advance. He dropped it on the bridge and it fell between the cracks into the river below! Poor kid lost his mind and threw the biggest tantrum of his life. We placated him by buying a new lock from a vendor nearby, but his mood never fully recovered after that. We walked along the left bank and browsed the used books, comics, and art sold by the Bouquinistes before arriving at Notre Dame cathedral. It was nice to see Notre Dame from the outside, but the line to enter was too long. 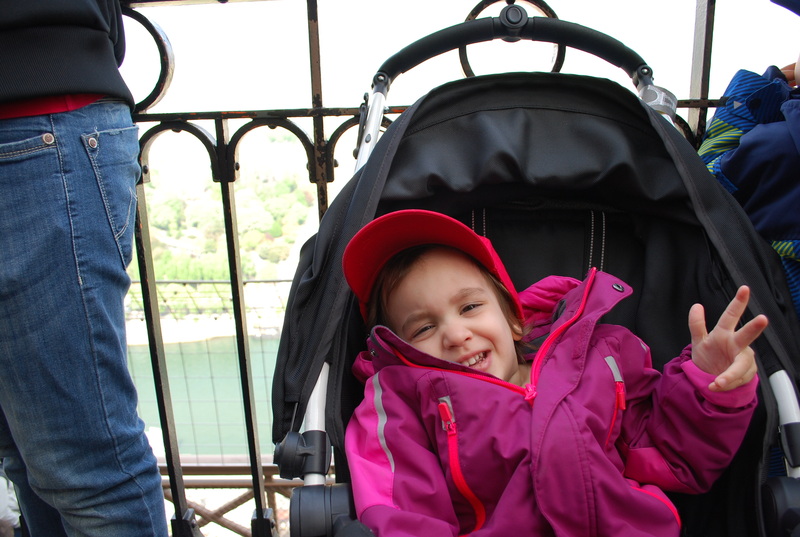 Sam was cranky, Lucy had fallen asleep in her stroller, and the grown-ups were hot and tired. So we opted instead to let Sam play in the playground near the cathedral grounds and we found an ice cream shop for a sweet treat. All in all, we were happy to accomplished so much in one day! Lucy had been sick for most of the evening prior. Waking up from her nap to a stuffy city bus ride wasn’t good for her sensitive stomach. So we decided to cancel our plans to visit the Jardin du Luxembourg in the morning and Montmartre in the afternoon. Instead, Grandma came to visit! 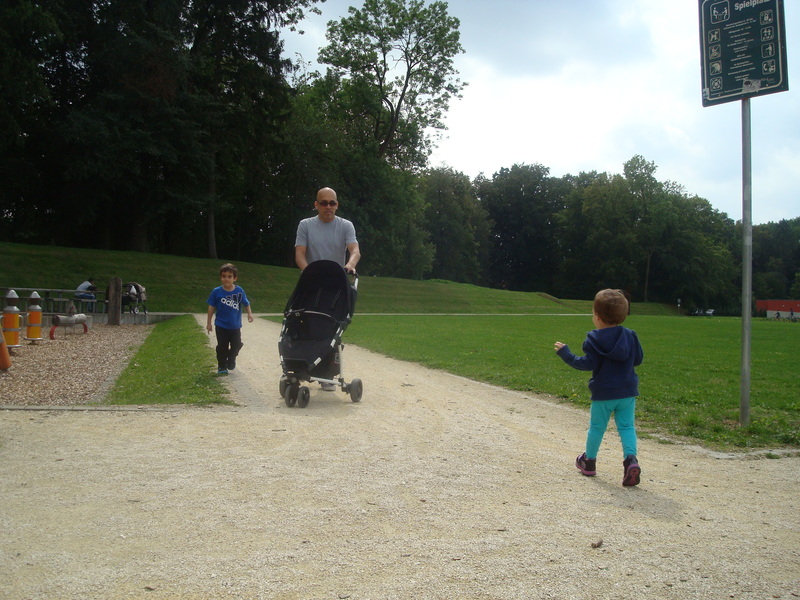 The kids were very happy to see her and spend the day with Grandma at our rented apartment while Joe and I went for a walk. We walked past the Place de la Bastille and browsed through a farmer’s market there, before making our way to the Place des Vosges. 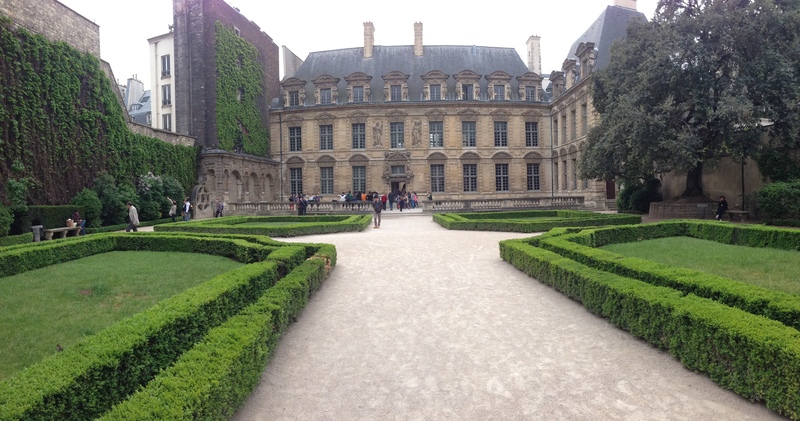 After admiring the regal architecture and symmetry of the grounds and seeing where Victor Hugo used to live, we found our way to a lovely Renaissance garden courtyard at the Hôtel de Sully. We had a relaxing café lunch of a croque monsieur and café noisette. 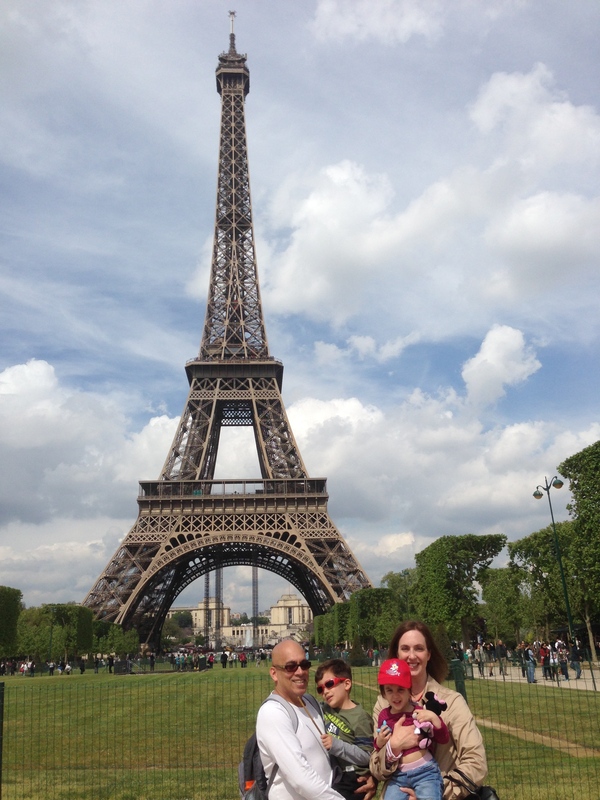 On the walk home, we visited charming shops in Le Marais and bought some macarons at a pastry shop. 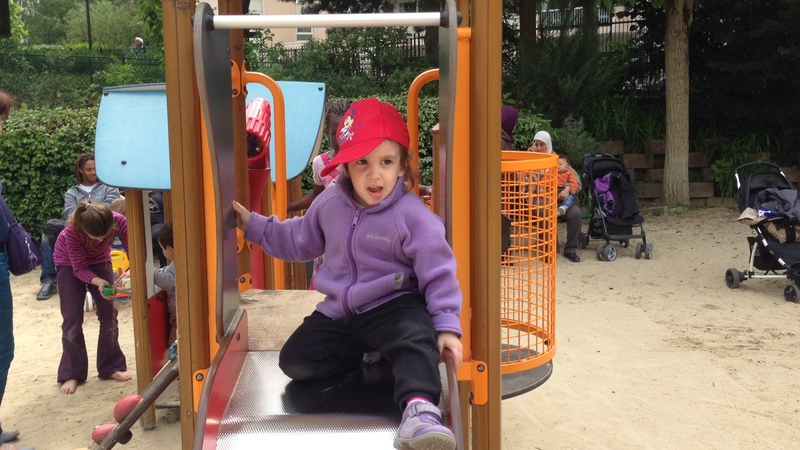 Grandma said goodbye and we took the kids to a park and playground near our apartment, Square de la Roquette, to burn off some of their extra energy. Then we bought some groceries at a produce market to cook dinner at home yet again. 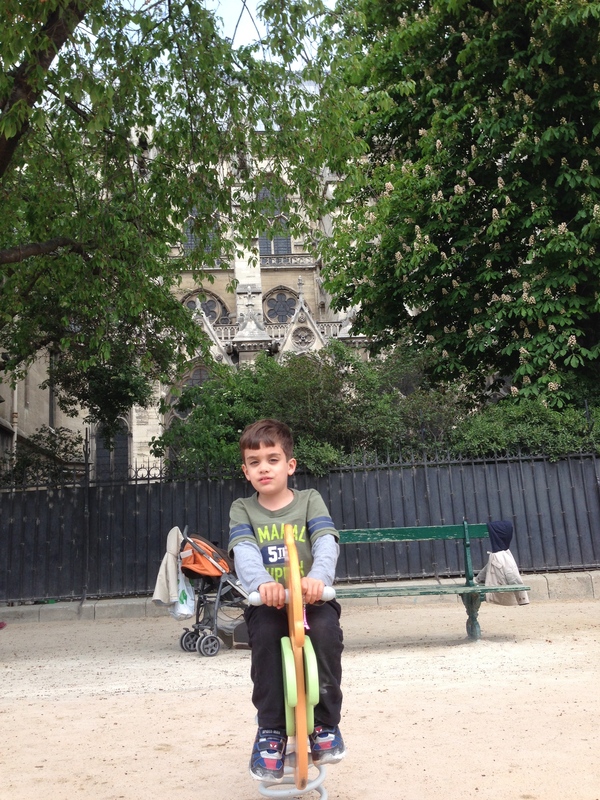 Eating dinner with the kids at a restaurant wasn’t really possible in Paris. Most of the restaurants don’t open until 7pm which is far too close to bedtime for Lucy and Sam. 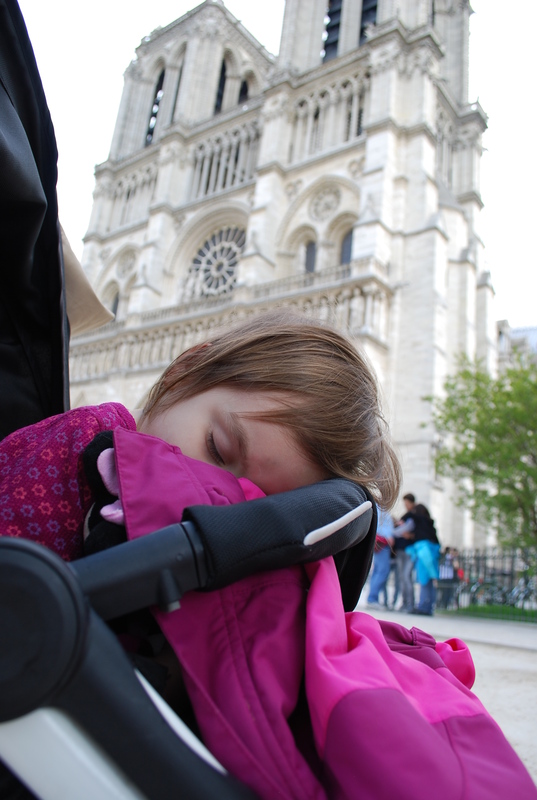 There are brasseries and cafés that are open all day, but my kids were often too cranky from sightseeing to have been patient enough to wait for food service. We were lucky to have booked an apartment so we could cook meals in our own kitchen. I’d recommend it highly to any other families travelling with young kids. 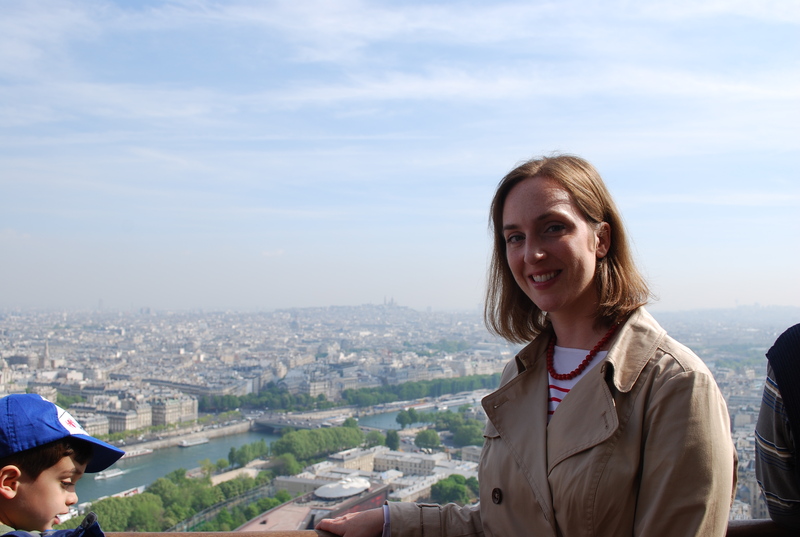 On our final morning in Paris, we were dissuaded from our plans to see the Arc du Triomphe and the Champs-Élysées by a heavy rain storm outside our windows. So we instead let the kids watch some French cartoons on TV while we packed the suitcases and cleaned the apartment. 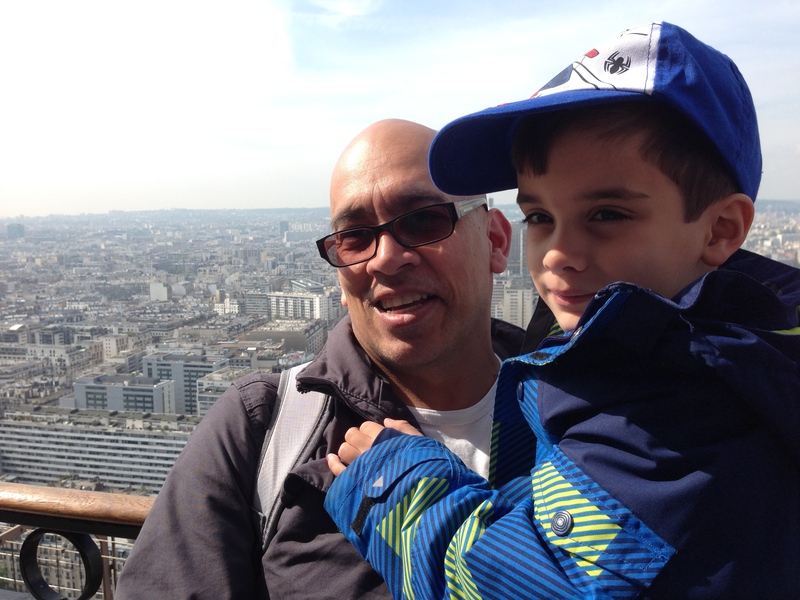 We took one final trip down the rickety elevator and made our way to the train station and home again on the high-speed TGV trains. Above is a shot of us waiting in the train station, trying to avoid being accosted by the aggressive pigeons inside the terminal. 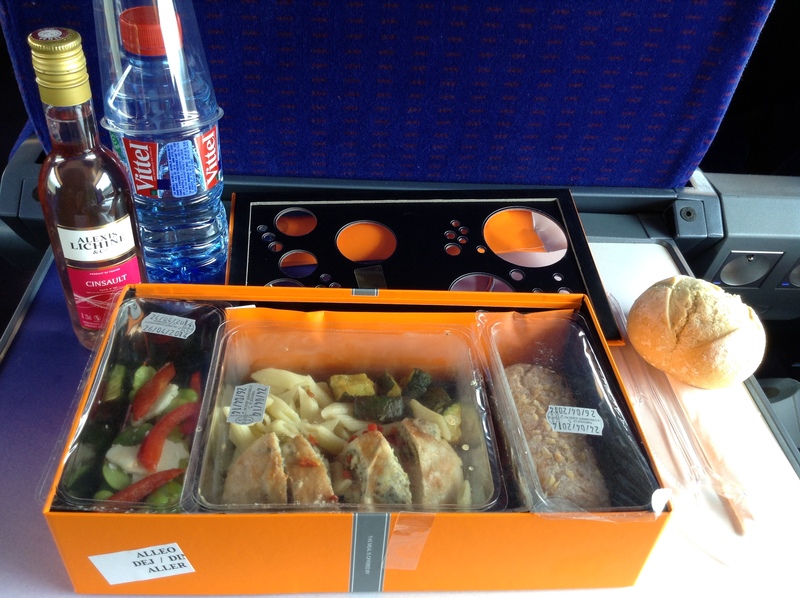 At least our first-class meal included mini bottles of wine (in plastic bottles!). 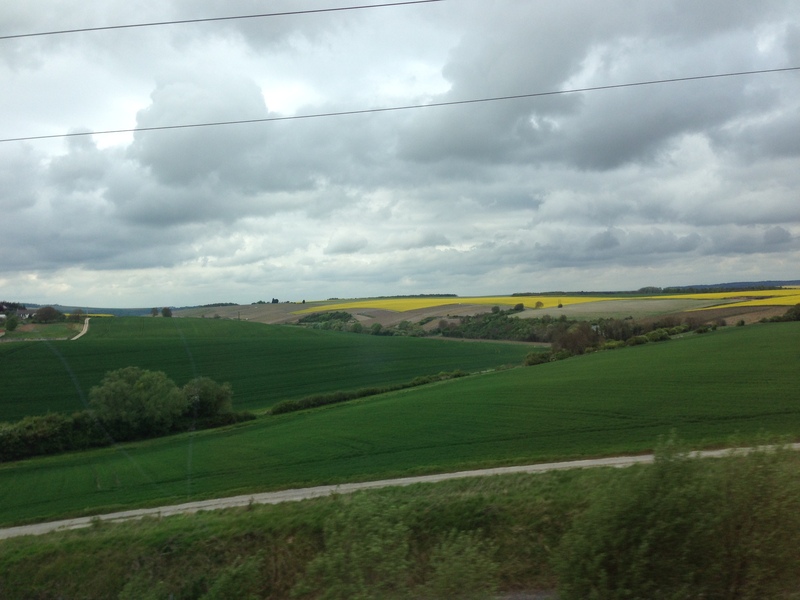 Above is a view of the scenic French countryside from the train windows. It was good to be home, and have the kids in their own beds. 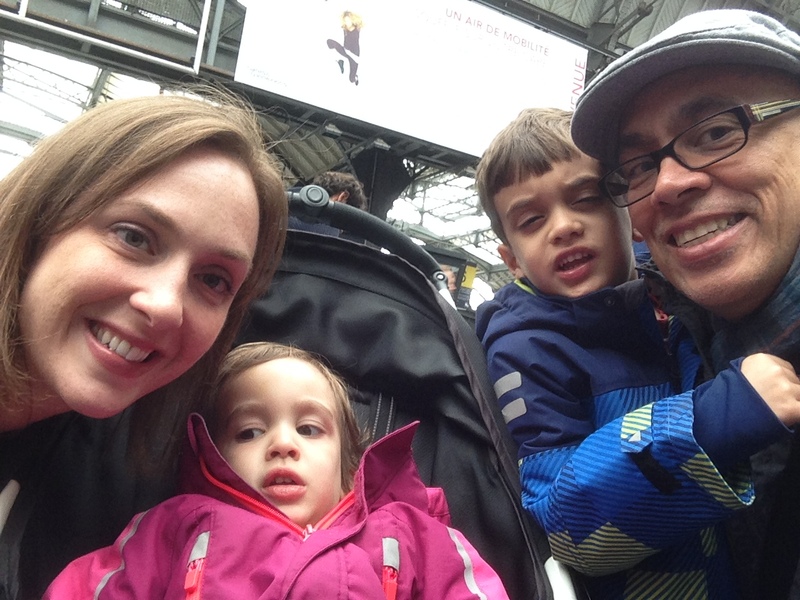 We’re glad to have made it to Paris and seen as much as we did, but it’s not ever easy traveling with little ones. Funny to think that they’re so young and will likely not remember this vacation at all when they get older. I’m glad to have this blog as an outlet to help record our experiences during this year abroad. 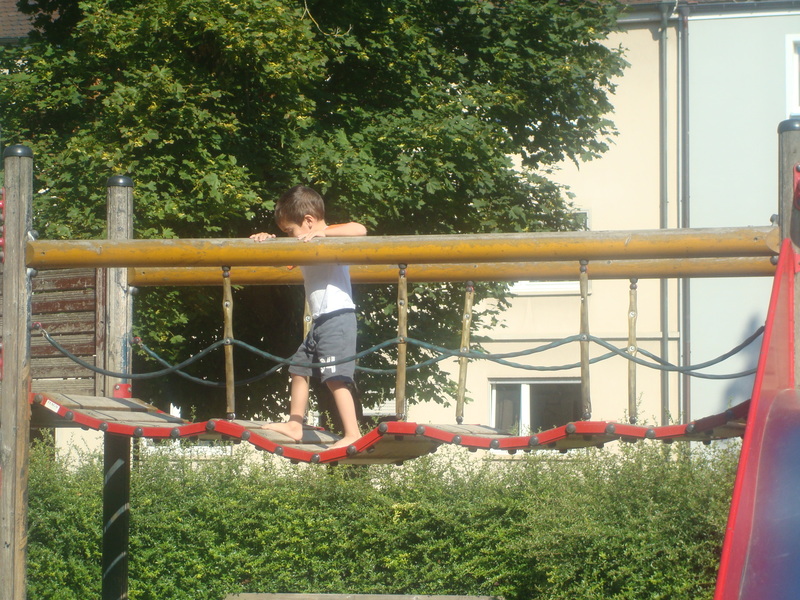 Sam loves to find new playgrounds when we are out on our walks, and more often than not, he’s successful at it. They’re tucked everywhere in our new neck-of-the-woods. 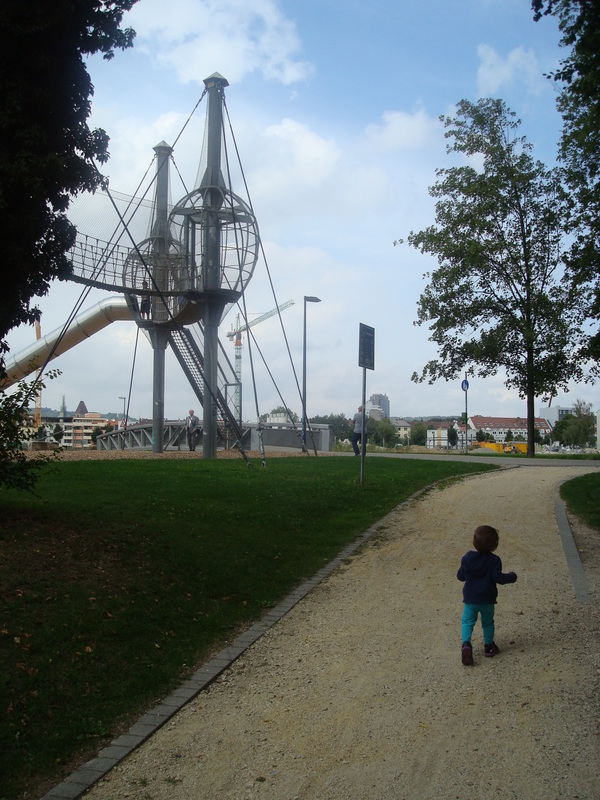 This cool pirate ship was hidden among a public green space. 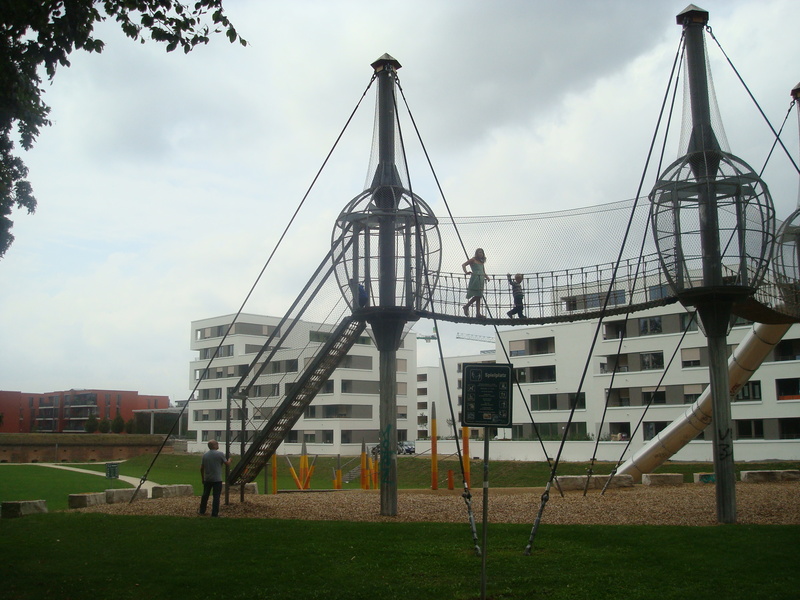 It’s tied to a Biergarten that operates during the summer and provides a nice place for the kids to play while their parents relax nearby. Lucy loved this short little slide and went up the stairs and down the slide on a continuous loop for a good twenty minutes straight. 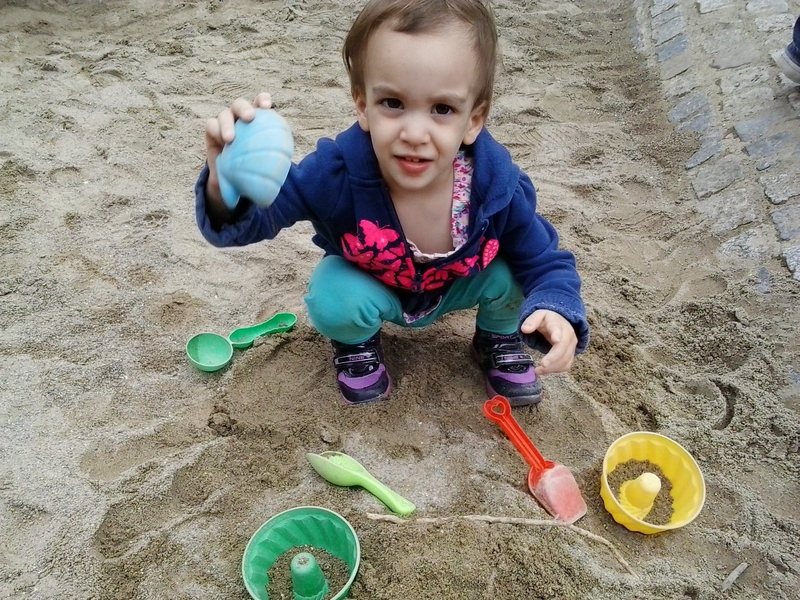 She also loved digging in the sand. 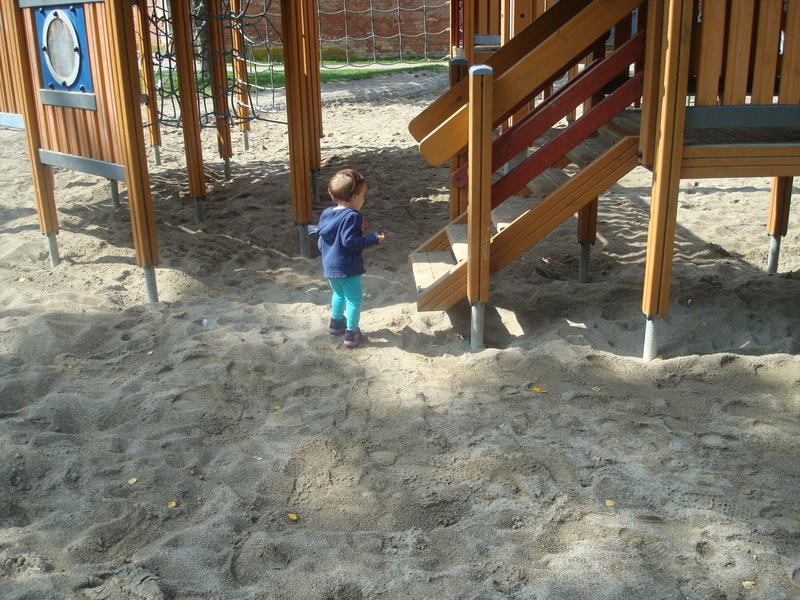 Most of the playgrounds here use sand, which is less common than rubber or bark chips or even gravel in our part of America. 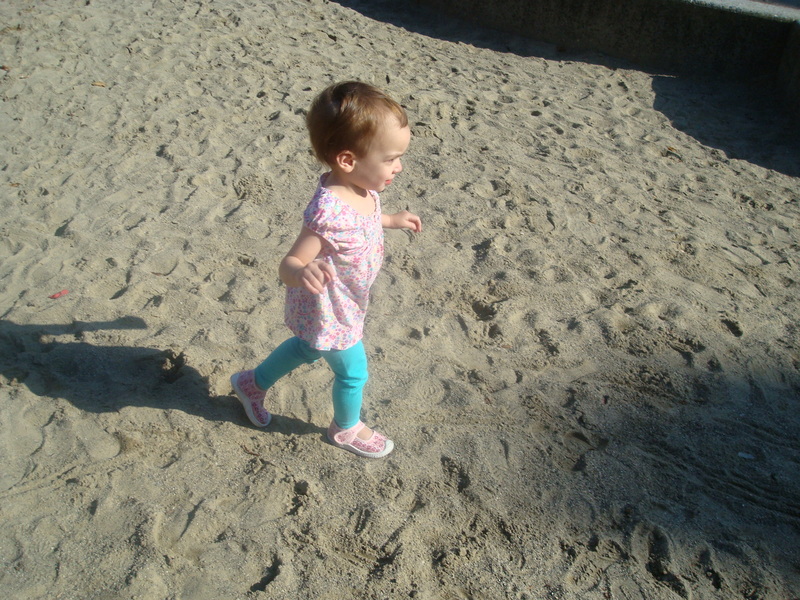 The sand certainly does get into everyone’s shoes and makes the kids more messy, but it’s a softer surface to fall upon. 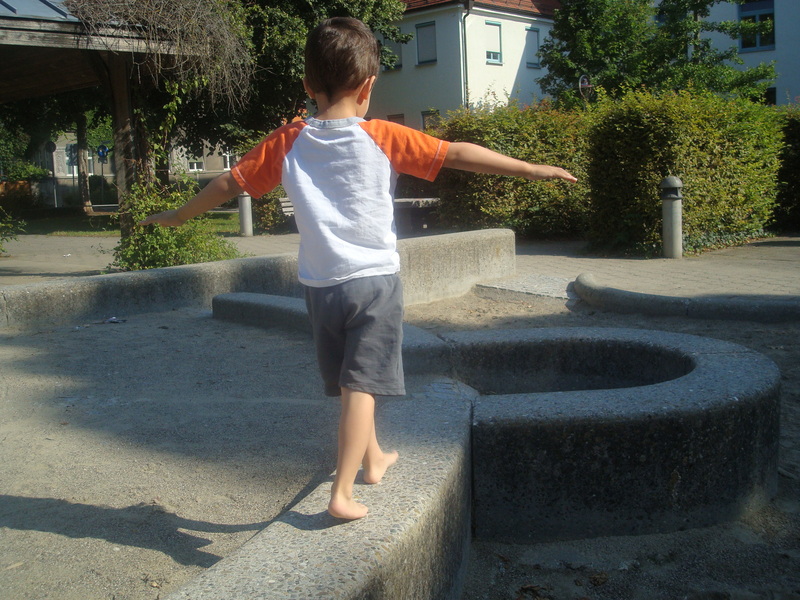 I’m still undecided about which playground surface I prefer. We also later heard from a local mom that the Biergarten restaurant actually hides golden coins in the sand. If one of the kids finds one, they get a free ice cream or other treat. What a fantastic idea! I can imagine any kid from ages 3-12 spending hours digging in the sand once you told them this news. 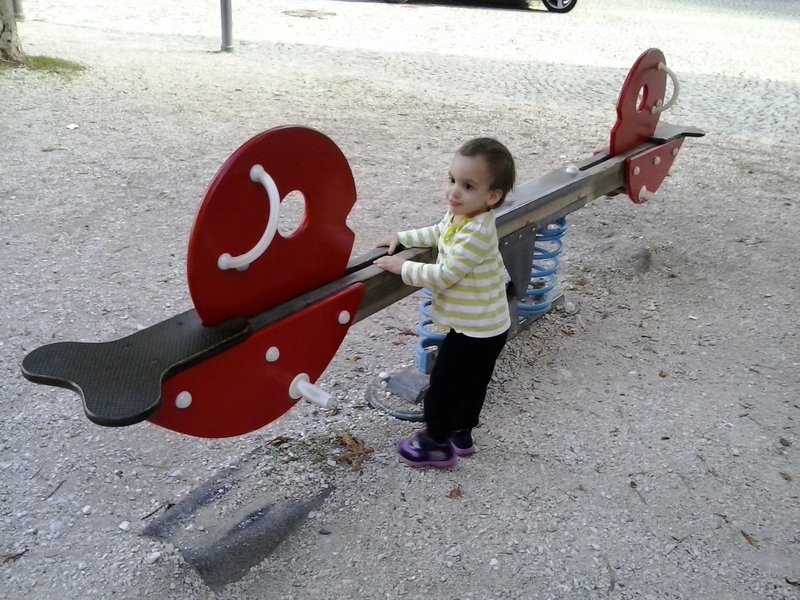 Lucy found this seesaw near the heart of Ulm, just behind the Rathaus (city hall). 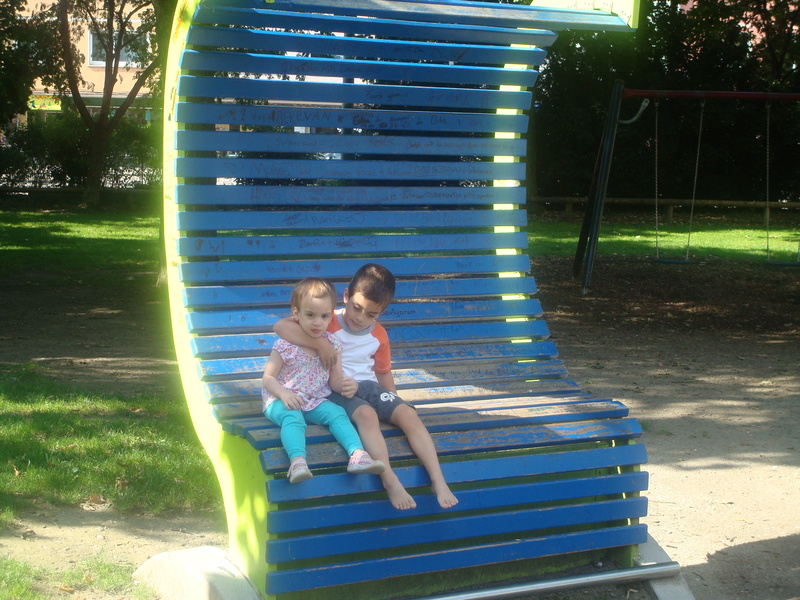 A lot of the playgrounds have these spring-supported seesaws, which are great because kids of different sizes can still use them. Seesaws seem to be a lot less common in America these days. I remember lots of injuries in my childhood from merry-go-rounds and seesaws, so it’s likely they’ve been removed to prevent injury and insurance claims. 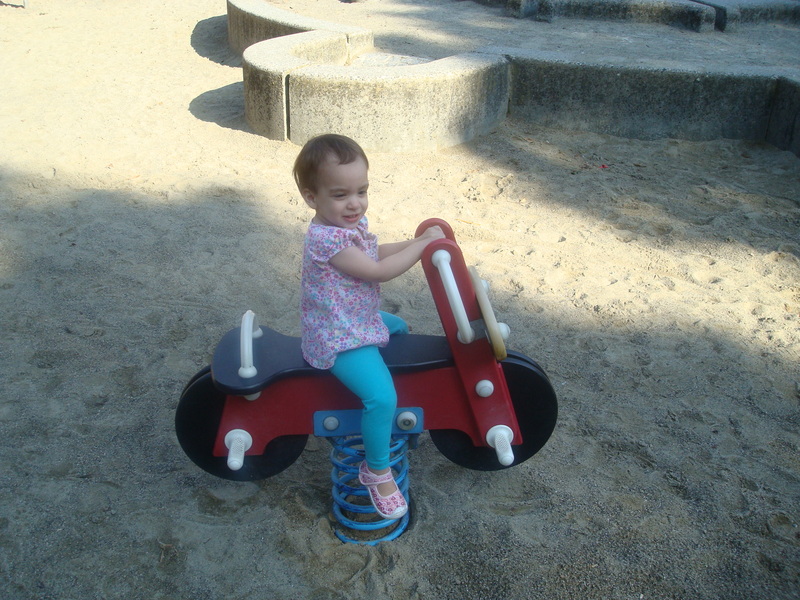 In Germany, with no bicycle helmet laws and infant carseats commonly placed in the front passenger seat, there must be less concern regarding mere playground accidents. 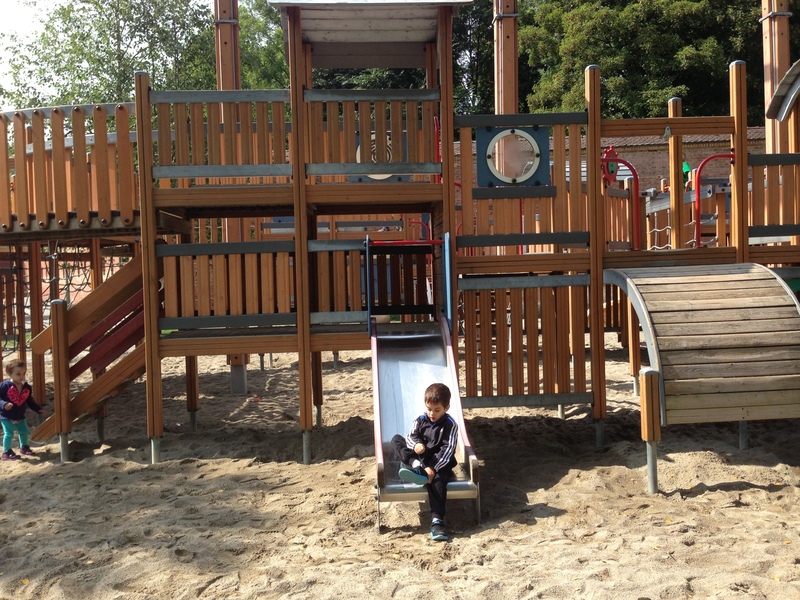 One more mini playground, found tucked amid some soccer fields at a sporting area a short walk from our apartment. 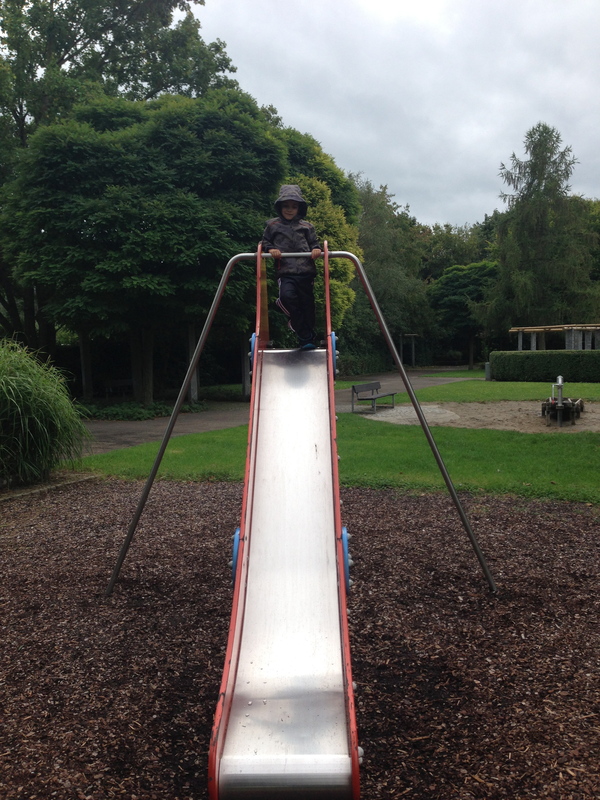 And here’s Sam, our intrepid playground hunter even finding slides in the rain. 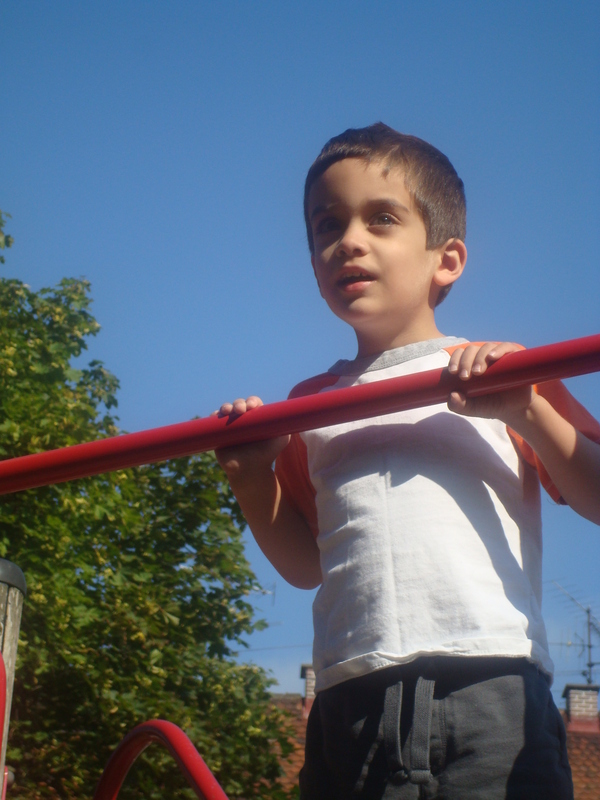 That’s probably the last of our playground adventures until the warmer spring months. Not very pleasant to get wet sand all over your hands or soggy pants from an attempt at the slide. 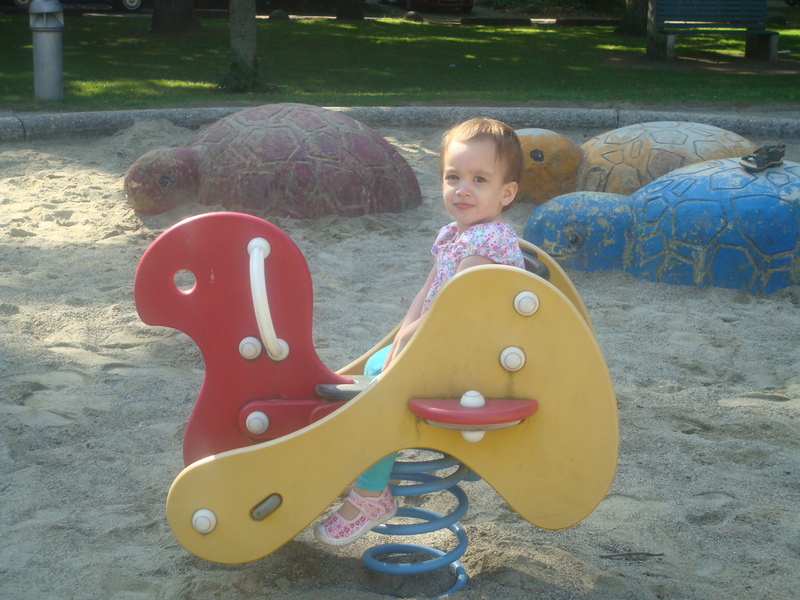 In the meantime, I’ve got some more gratuitous playground photos of the kids. We’re trying to get as much outside time as we can before the temperature drops below freezing. A little history lesson: Ulm was part of the boundary dispute in the Napoleonic Wars that ended in the Treaty of Paris in 1810. Following that, many portions of this region were selected for federal fortifications, with Neu-Ulm being the site of the largest complex constructed in the 1840s. Right behind our apartment is one of those fortifications, known as the Glacis. 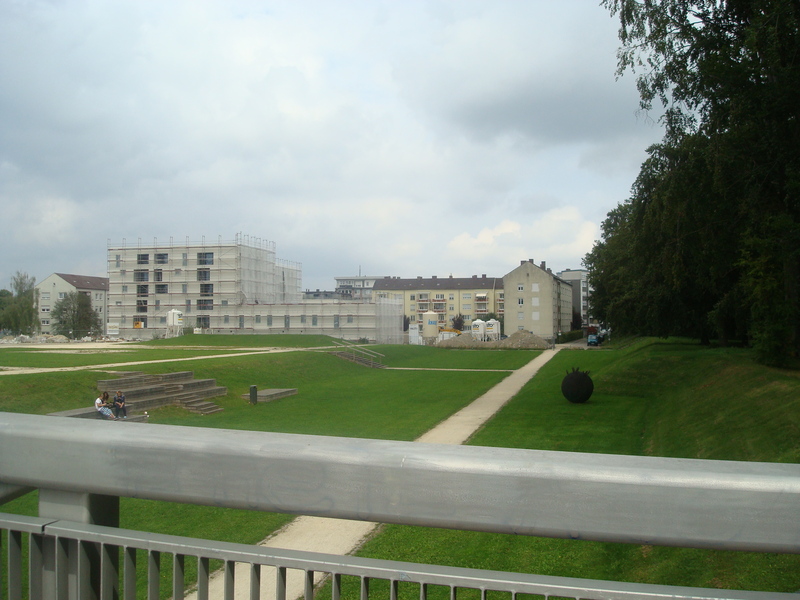 The garrison was dissolved after WWI, but the Glacis exists as a popular public park that stretches through much of the center of Neu-Ulm and hosts public concerts and events throughout the warmer months. 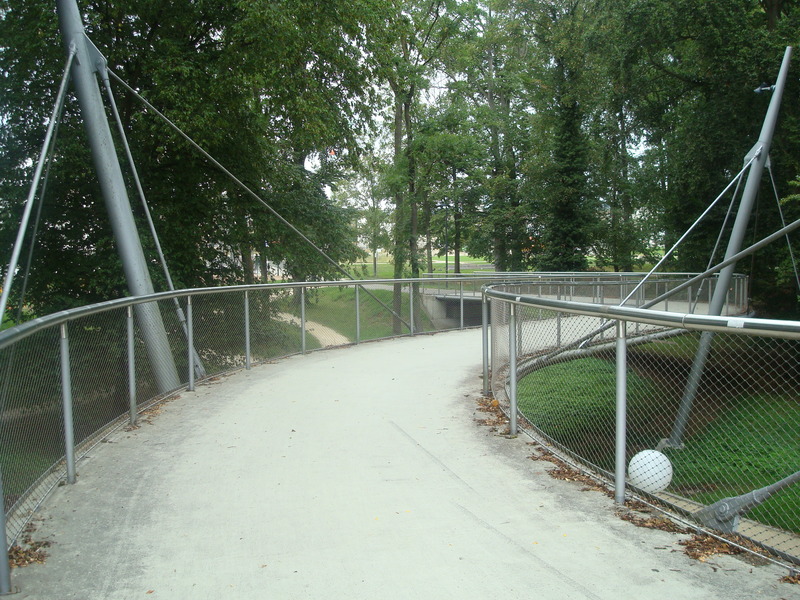 The entrance to the park. Very space-age amidst all the greenery (but fitting, as you’ll see). Lucy is eager to check out the rocket ship structures. Joe at the bottom of stairs, trying to help Sam navigate getting down (the slide was a bit too long and steep for our little guy). A view of the Napoleonic-style lawns and embankments. Lucy is thrilled to have found a play area more her size. The tiny Dalek-looking things spin around if you hold on, and the teepee structure at the edge is a sort of whispering gallery, where you can play telephone with people speaking quietly in the pair of structures. More fun things to climb. Lucy: Catch me if you can! 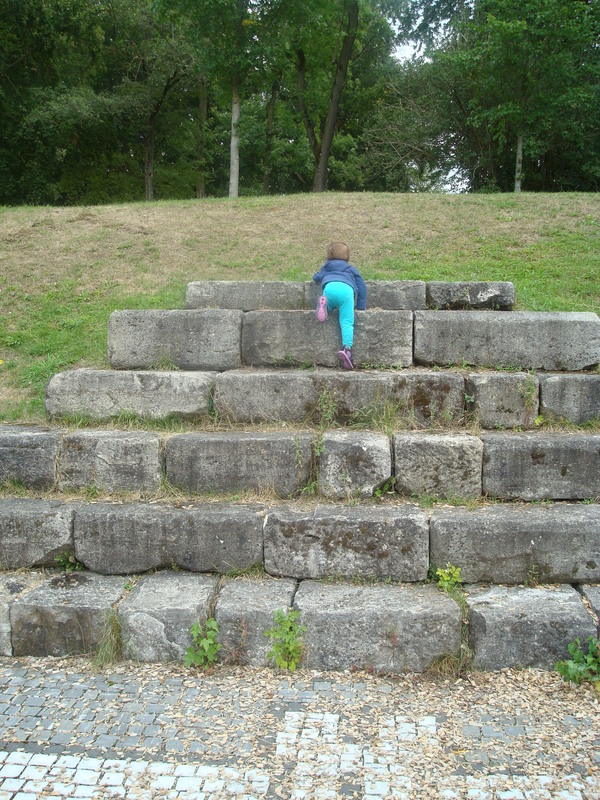 Lucy’s found something else to climb. Have I mentioned that almost-2-year-olds like to climb everything? 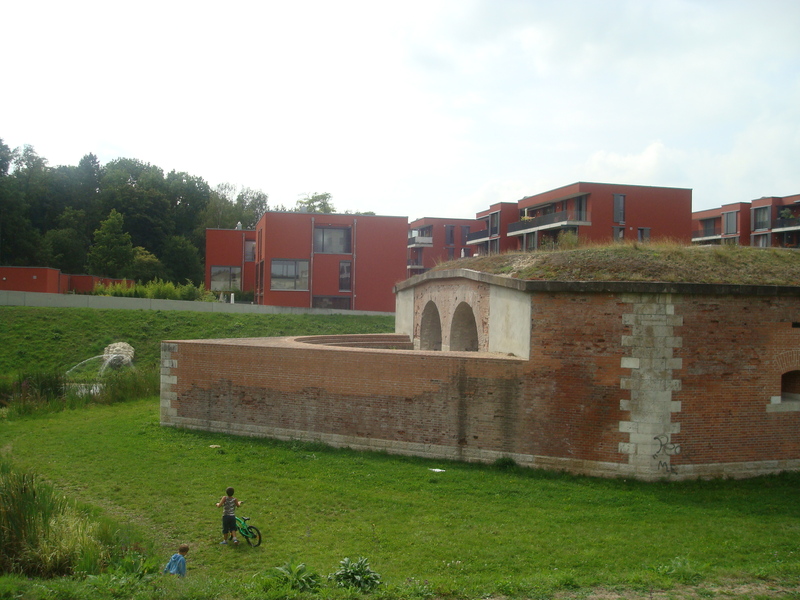 A shot of the sunken fortifications. It’s a little bit graffiti-strewn in spots, but not nearly as badly as the Army bunkers I used to visit in Washington State. 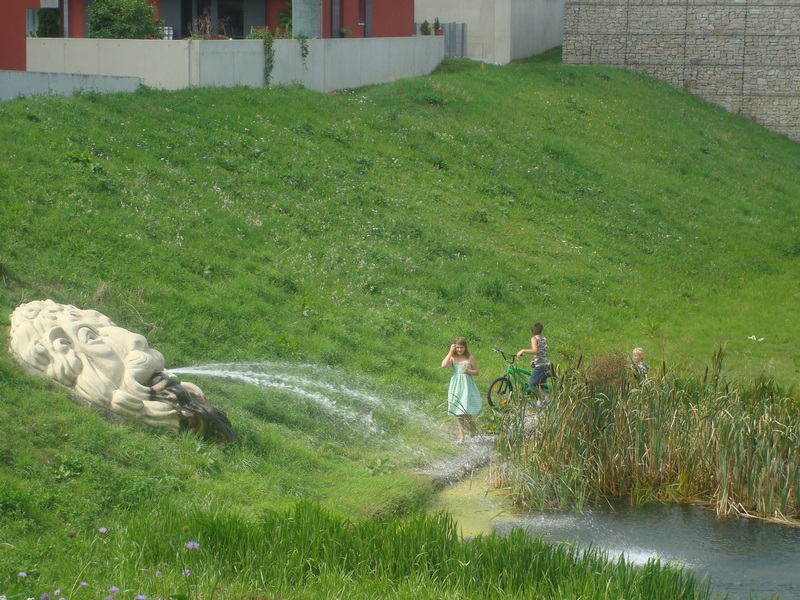 A lion’s-head fountain embedded in the slope of the bank. 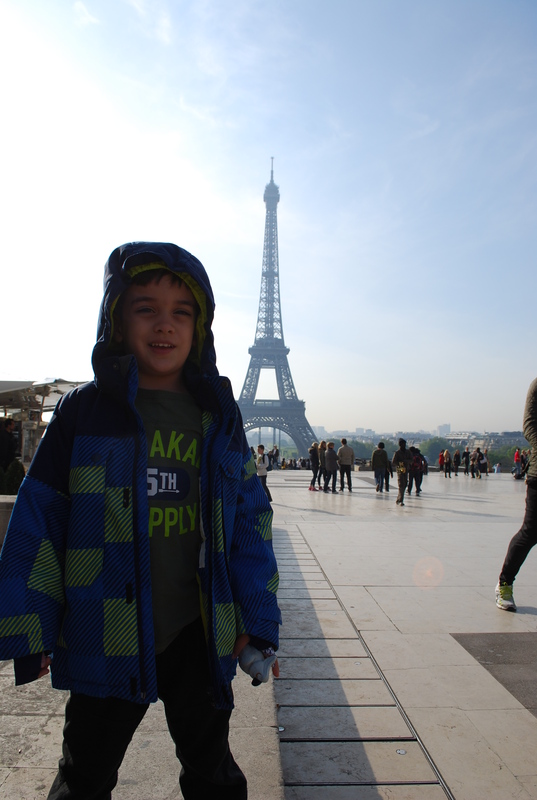 This was Sam’s favorite part of the Glacis and definitely something we’ll visit again, especially on warm spring days. 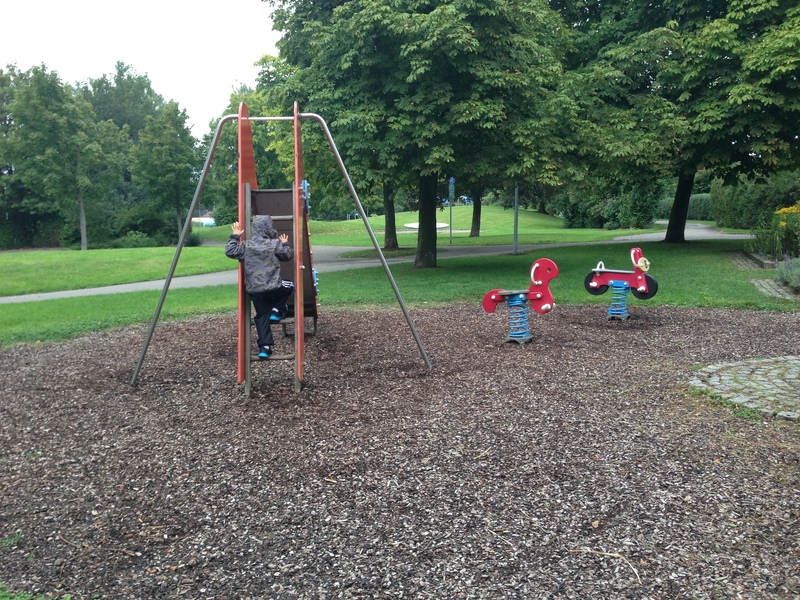 We found a great playground only a block from our new apartment, and the kids and I enjoyed a day there while Joe was getting his classroom ready. 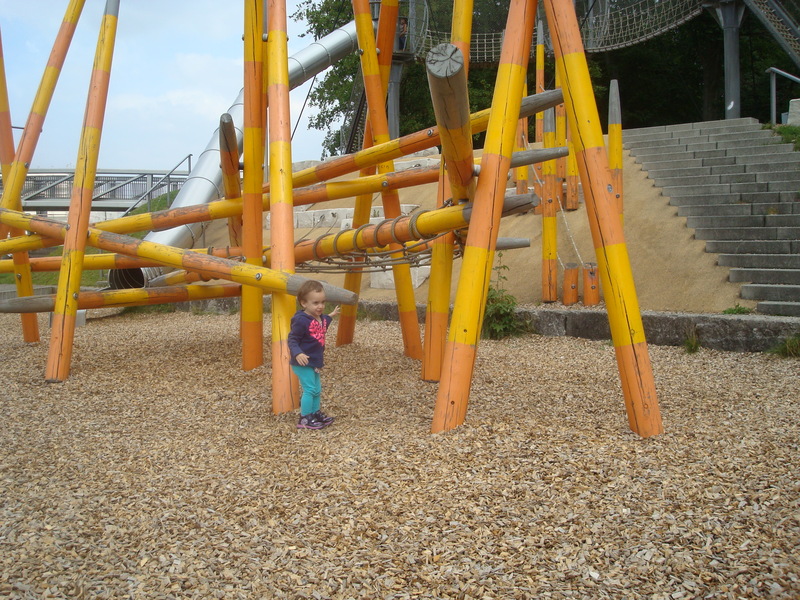 In general, we’ve found German playgrounds to be much better designed for kids of varying ages than those in our old neck of the woods. 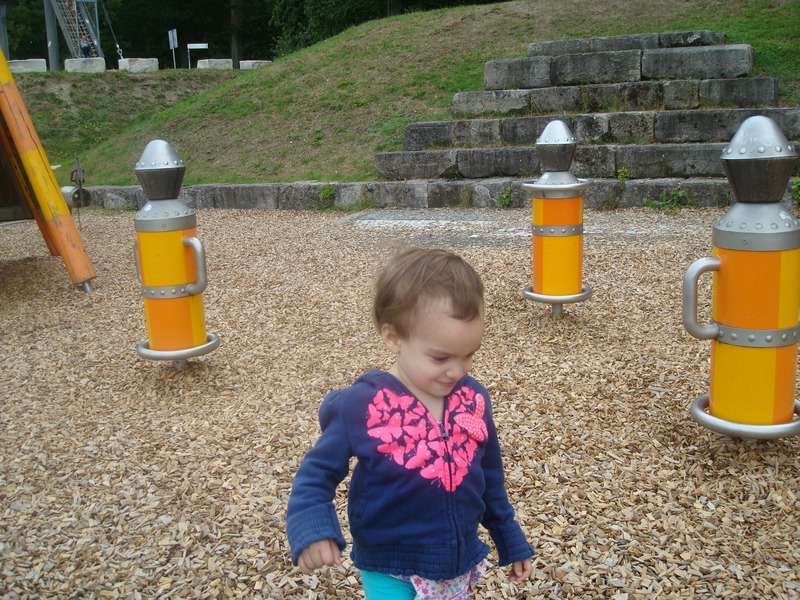 The playgrounds that would be interesting for Sam were too dangerous for Lucy, and vice versa. 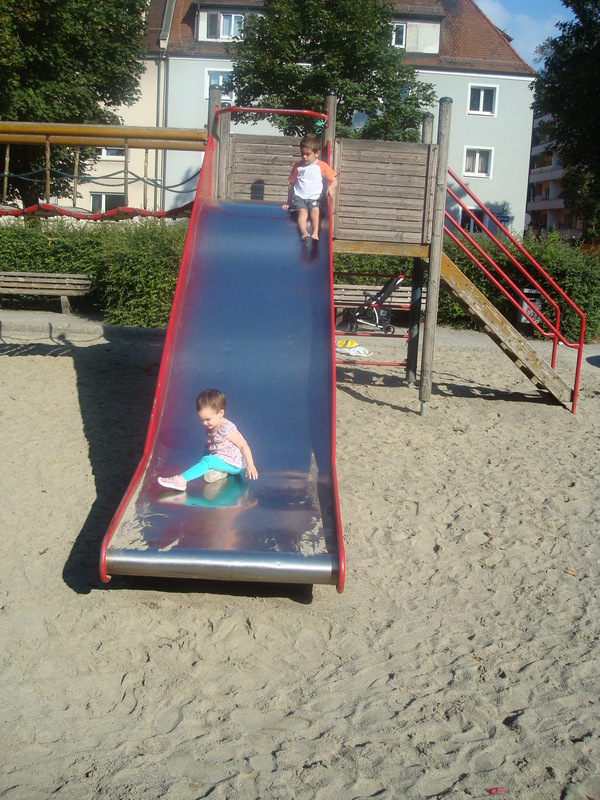 After a little fear, both have become lovers of the slide. Careful, though, it gets hot! She can’t quite move the bouncy toys yet, but she loves to try. Sam usually hates shaky drawbridges, but this had nice strong beams to hang onto. Not sure what this is supposed to be. A snail? Lots of low walls for balancing. Lucy tried to run away when it was time to go. Surveying the view from up high. Love the days when they play well together!